I want to give him a chance I really do but he let's me down near everytime he opens his mouth or sends out a tweet. For the first time, we have a president that isn't a puppet to anyone and you just can't stand that he would speak his mind? That he calls the system out for what it is? The media ARE the enemy of the people. This includes FOX News, CNN, MSNBC, and all other establishment media. I have more than enough experience being lied to by the MSM to favor one set of lies over another. 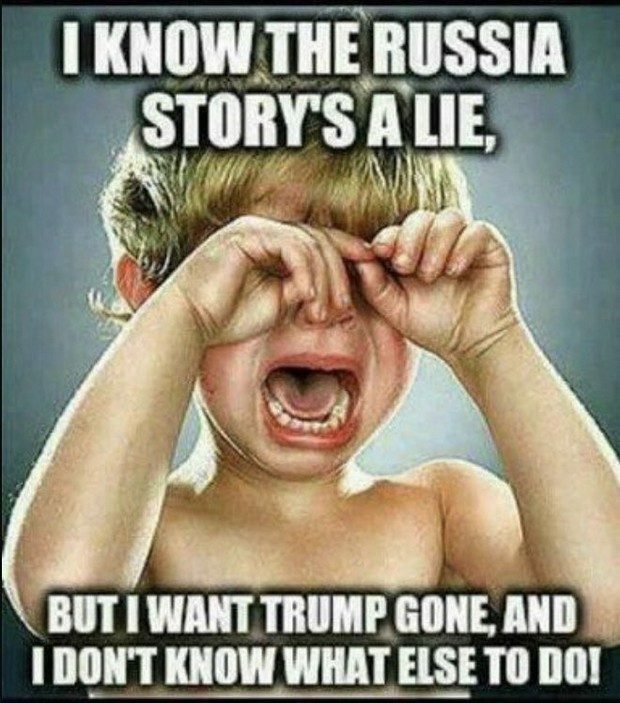 The MSM has lied about Trump ceaselessly and has done everything in their power to undermine him here with the Russia LIE, and his efforts abroad as well. The left's ceaseless and baseless accusations have seen no limits and no evidence. I am disinclined to believe any criticism they do have for the president. But Trump isn't a polished politician and we didn't want him to be. All he has to do is run his haters comments for the last two years. Especially their Russia snip. I try my hardest to find nice things to say about Trump but it's very hard even the positions I agree with him on he takes the extreme position in almost every case. Trump uses a common tactic throughout his life. Mark It Up So You Can Come Down. An example: You want to sell a car. You want $9k for it. You advertise it for $11k, knowing people are going to try and haggle. You let them talk you down to your $9k, they get their car and that feeling of having gotten a deal, and you keep your profit margin safe. His politics work much the same. Make the people you're negotiating with counter offer with your desired solution. You know I have really come to the conclusion most of the people who really hate Trump have no sense of humor. That is why they take everything he says so literally, and cannot understand when he is joking - or exaggerating or lying for purposes of persuasion to improve his chances of getting his way. I keep saying this to anyone who dislikes the way he communicates - Actions speak way louder than words. Actions are what matters. If you actually just look at his actions he has done a fantastic job as president. What was with all the celebrating on Friday night and Saturday? Was the Mueller report contents leaked in advance of today? From now on Republicans should start every political discussion with a Democrat with the following sentence.